Thoughts, comments and opinions a drop at a time. Of iPhone, iPesach and iYom Hashoah. After agonizing over whether I should buy an Android or an iPhone, a couple of months ago I succumbed to the coolest and hippest iPhone4S. It will be until the next coolest and hippest iPhone5 (something) comes along. Because of my recent contribution to Apple’s earnings, this Passover-Yom Hashoah season I am compelled to address the result of the audit conducted by the US Fair Labor Association on Apple’s contracted manufacturing facilities in China. In particular, the report covered the Foxconn's Shenzhen Longhua (easy for you to say) factory whose 18 of its employees have committed suicide since 2010. The US Fair Labor Association was asked by Apple to investigate working conditions at Foxconn after reports of long hours and poor safety conditions were reported. 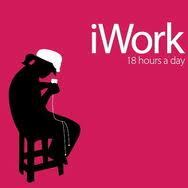 15-hours shifts, six days a week, which would total a 90-hour week. This does not include overtime pay. China’s Labor laws specify the maximum of 49 hours per week including overtime. Workers perform the same task six days a week. Average monthly salaries ranged from $360 to $455 a month, roughly $1.25 an hour. 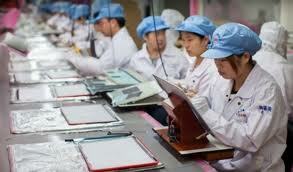 Foxconn raised salaries by up to 25% recently to a whopping $1.62 an hour. Some of these employees are highly educated technical professionals. Workers live in a dorm room with up to fourteen other employees, sleeping on narrow double-level bunk beds. Not all factories have shower facilities. To “shower,” workers use a container filled with hot/cold water for sponge baths. The factory provides meals and deducts the cost of meals from the employee paycheck. Workers describe factory food as awful. Workers can only leave the “compound” during regulated hours. The US Fair Labor Association inspectors found factory and dormitory doors locked from the outside, where those inside could not leave. In addition, Foxconn recruits thousands of “interns”. These are 16 and 17 year olds, who work 15-hour shifts, six and seven days a week. They live at the factory three months, though some remain six months or longer. Their salary averages $0.65 an hour with deductions taken for meals. There is a preference to hire women 18 to 25 years of age, because they are easier to discipline and control. This moist, pudding-like cake is the Brazilian equivalent to the Pound Cake. Typically homemade, it can be baked in a sheet pan and cut into squares or for a more elegant appearance, bake it in a tube pan and garnish it with grated coconut. *Frozen grated cassava and frozen grated coconut can be found in ethnic produce stores in the Asian/Filipino section of the store. 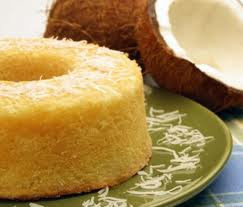 Of course, you can always grate the coconut and cassava yourself! Thaw frozen cassava and coconut in refrigerator until soft but yet cold. Mix well cassava, coconut, sugar, vanilla and milk. Beat eggs and yolks separately until well blended and add to cassava mix. Add melted butter to cassava and mix the batter well. Butter tube pan and dust it with granulated sugar. This will give a nice shiny caramel finish to the cake. Fill pan with cassava mix until 1.2 inch from rim. Bake for approximately 1 hour and 15 minutes. When done, cake should be heavy and solid to the touch. If knife is inserted, it will come out a little gooey, but not runny. Cool cake completely. It is best served at room temperature. Garnish with grated lightly toasted coconut – or not. Loud noises of metal against metal and male voices shouting instructions to one another woke me up at night during the removal of streetcars rails on the ‘Baixa dos Sapateiros’ in 1960 Salvador, Bahia. Streetcars were being replaced by buses because the narrow streets of this colonial city could no longer be monopolized by just one form of public transportation. Also, influenced by the Brazilian modern architecture movement of Oscar Neimeyer, multi-stories box buildings were going up among colonial rococo, baroque and art nouveau structures. This was the ‘Baixa dos Sapateiros’ of my childhood. 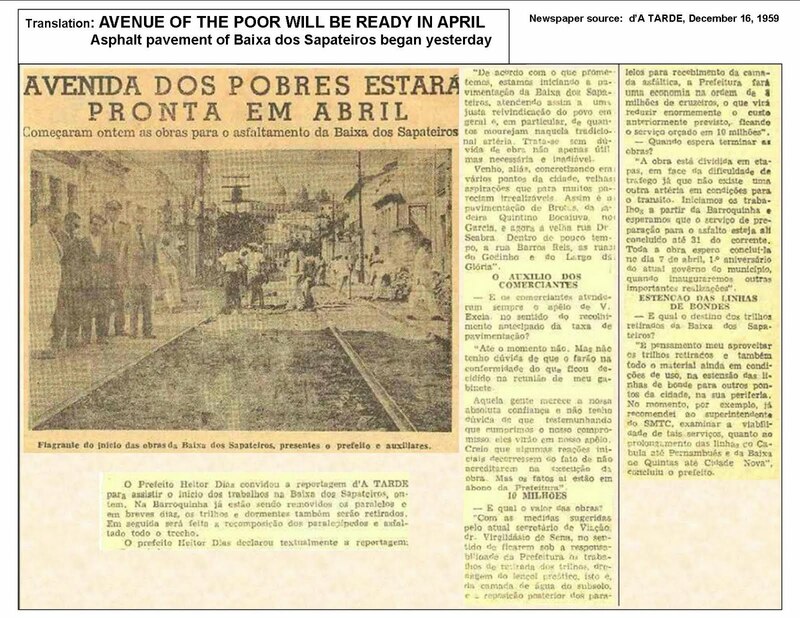 Fifty-one years later, this February of 2011, my sister Gleydy and I made our way down the ‘Ladeira da Ordem Terceira de São Francisco’ - a very long name for a narrow slope that connects 'Pelourinho' to 'Baixa dos Sapateiros'. It was not nearly as steep and long as I had remembered. At the bottom of the slope, I quickly recognized the edifice that still held the letters “Moveis Porvi(r)” (the last ‘r’ missing) that we simply called “o Porvir”. In Portuguese, porvir means future and in the early 60’s it represented just that - the future! This building was square and sleek and housed a stylish modern-design furniture store on its ground floor and the furniture factory at the back. The floors above the store consisted of two-bedroom apartments inhabited by middle class families. 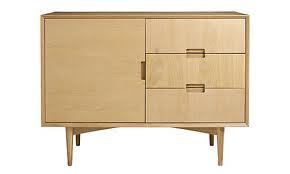 We became the Jetsons of 'Baixa dos Sapateiros' when my parents purchased from Moveis Porvir a dining set, complete with a buffet sideboard, “functional” in style with an “ivory” finish, currently known as mid-cen tury modern Danish design. As soon as we started photographing ‘o Porvir’ a well meaning employee of a clothing store nearby suggested that we put our cameras away and that we keep a low profile because the area was not safe for tourists. Wow, this was no longer the neighborhood that a six year old could walk to the bakery to buy fresh bread in the mornings. Nor was it the same neighborhood whose merchants made sure your business got home before you did. Like the time my father returned from a trip to Buenos Aires with Argentine pesos that I mistook for play money and proceeded to go around the neighborhood buying candy, Crush® and Grapette® soft drinks (my favorites). Gleivy Monteiro de Souza 2012. Simple theme. Theme images by diane555. Powered by Blogger.